Red Seal Homes has successfully unveiled new construction townhome projects, such as the Terraces at Provenance, the builder’s master-planned community of single-family homes, duplexes and townhomes in the north Chicago suburbs. Lexington Homes’ townhomes are designed to address the desires of empty nesters seeking a downsized, maintenance-free lifestyle, Benach said. At the same time, they respond to the needs of formerly citified millennials seeking elegant and up-to-date residences in suburbs boasting retail, dining, nightlife and public transportation. Don’t discount the importance of proximity to trains and buses, Benach adds. “The days of buyers being willing to head way out into the suburbs to save $50,000 are long over,” he notes, pointing to a successful Lexington Homes townhome community two blocks from a Metra train station in northwest suburban Des Plaines. Express trains from that station can whisk passengers to downtown Chicago in as little as 28 minutes. Townhomes can also serve as a vital component in master-planned communities, where they complement single-family homes and duplexes. 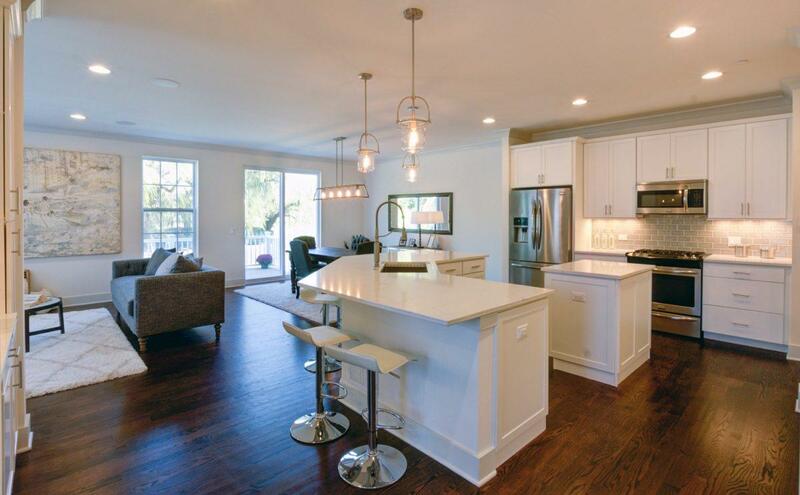 An example is Red Seal Homes‘ Provenance community in Chicago’s mid-north suburban region. This article was written by Jeffrey Steele from Forbes and was legally licensed through the NewsCred publisher network. Please direct all licensing questions to legal@newscred.com.